THE DESCENDANTS OF WILLIAM REIERSON ARBUTHNOT, Senior of Plawhatch. William ("Willy") Reierson Arbuthnot, Senior, of Plawhatch, East Grinstead, Sussex. Born 14 Upper Wimpole Street, London 28 January 1826. Died 31 May 1913. For his ancestors, see A.3.h.jj. on Page 8 of Table J. Worked with Arbuthnot & Co. Chairman Bank of Madras & Chamber of Commerce of Madras; Director Commercial Union Insurance Co & of the Midland Bank Ltd; Member of the Legislative Council. Portrait of him is in the possession of WRA. Married at St James's, Westbourne Terrace, Paddington, 9 December 1858, Mary Helen Anstruther (born Edinburgh 31 December 1839; died 21 May 1912, a keen Christian, Founder of the Women's Protestant Union and supporter of the Women's Evangelical Alliance), daughter of Philip Anstruther, Colonial Secretary of Ceylon. EMA has a portrait of MHA with PSMA and MEA ("Lil"). They are both commemorated in West Hoathly Church, W Sussex. George Anstruther Arbuthnot. Born Madras 27 March 1860. Died 15 January 1861. Mary ("Lily" / "Lil") Eleanor Arbuthnot. Born Ootacamund 8 March 1861. Died q4 1945. Helen Frances Arbuthnot. Born Madras 21 February 1862. Died of appendicitis on board a ship bound for South Africa 1 August 1900. Church of Christ Scientist. Married Paddington, 2 February 1886, Lt-Colonel William Crawford Middleton of 2nd Dragoons, Royal Scots Greys. (William) Archibald Arbuthnot Middleton. Killed in action 25 April 1915. There is a memorial to him in West Hoathly Church. Educated Ludgrove school. Seaforth Highlanders. Cicely ("Cis") Helen Middleton. Born 16 March 1899. Died 1959. Married, November 1918, Geoffrey Wyndham Nevill Cobbold. For details of him and their issue, see under F.1. below. She was later the common law wife of Harold George Rickwood, DSO, MC and was known as Mrs Rickwood. (Philip) Stewart Mackenzie Arbuthnot. Born Madras 27 March 1863. Died 16 June 1936. Settled in South Africa, 1920. Matriculated his arms posthumously. Married, 11 December 1906, Ada ("Daisy") Jane Evelyn of Wotton, Surrey (died 14 October 1946), eldest daughter of William John Evelyn, DL, JP. She was the author of "Memories of the Arbuthnots of Kincardineshire and Aberdeenshire" and other books. There is a memorial to them in West Hoathly Church. Mary Evelyn Arbuthnot. Born Chelsea 14 August 1907. Died Isle of Man 1 January 1995. Buried Isle of Man. Matriculated her arms. Portrait of her by de Lazlo is owned by Kittybrewster Ltd.
Keith Fraser Arbuthnot. Born Madras, India 27 May 1864. Died 31 October 1914. Produce broker of Mincing Lane. Known as "the Rubber King". Educated Rugby. Lived at Sumner Place, Billingshurst, Sussex 1915-1927 (now Sothebys). Married, 14 March 1899, Mabel ("Vida") Constance Elizabeth Robertson (born India c.1877, died 13 December 1918), daughter of General David Robertson of 44th Ghurkas. Joyce ("Joy") Frances Arbuthnot, OBE. Born 1 August 1902. Died September 1983. Married, 15 December 1931, Captain Ivan Beale Colvin, RN (born 12 July 1891; died 12 October 1962), only son of Lt-Colonel Cecil Hodgson Colvin, CB, DSO. Michael Keith Beale Colvin, MP. Born 27 September 1932. Lt, Grenadier Guards. Married, 15 September 1956, Nichola Cayzer (born 27 May 1937), daughter of Sir (William) Nicholas Cayzer, 2nd Bt, later Baron Cayzer (1910-99). They died together in a fire at Tangley House, near Andover 23 February 2000. Sir Ashley Charles Gibbs Ponsonby, 2nd Bt, K.C.V.O., M.C. And Lady Martha Butler, dau of 6th Marques of Ormande. Emily Mary Ponsonby. Born 1990. Eleanor Rose Ponsonby. Born 1993. George Edward Michael Ponsonby. Born 1996. Arabella Nichola Colvin. Born 11 April 1960. Married James Peter Gaggero (born 1 August 1959), son of Joseph James Gaggero CBE, chairman of the Bland Group (1927-2012). Nicholas James Gaggero. Born 11 December 1985. Alexander Charles Gaggero. Born 23 September 1987. James ("Jamie") Michael Beale Cayzer-Colvin. Born 1965. An investment banker, dir Rathbone Bros., assoc dir Caledonia Investments. Married in Salisbury October 1992 Esther Anne Mary Tree (born 14 October 1966), adopted dau of Michael Lambert Tree and Lady Anne Evelyn Beatrice Cavendish. They live in Kensington, London. Molly Isabella Elizabeth Cayzer-Colvin. Born 30 September 1995. Lily Georgia Daphne Cayzer-Colvin. Born 8 April 1999. Alistair John Cecil Colvin. Born 16 November 1936. Educated Eton. Married Katherine Hughes (born 1946). Address: 96 Coleherne Court, Old Brompton Road, London SW5 (020-7373 8220). Will Colvin. Born 1974†. Works for egg.com in the Brand team. Hester Marion Arbuthnot. Born Brighton, Sussex 13 September 1865. Died 1957. Married at West Hoathly, 23 July 1890, (William) Nevill Cobbold (1863-1922). 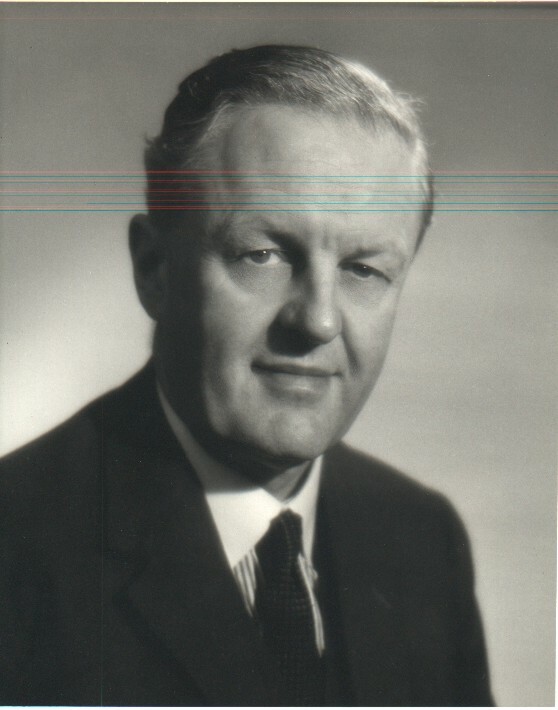 Geoffrey ("Geoff") Wyndham Nevill Cobbold. Born 5 February 1892. Died 1980. A civil servant. Married first, November 1918, Cicely Helen Middleton (see C.2. above), daughter of Lt-Colonel William Crawford Middleton and Helen Frances Arbuthnot. (Michael) David Nevill Cobbold, MA, DL. Born 21 October 1918. Died 1994. Educated Charterhouse; New College, Oxford (MA); RMA, Sandhurst. Served with 2nd Bn, The Buffs 1940-45. Senior Partner: Messrs Stileman Neate & Topping, solicitors, 1959 - . 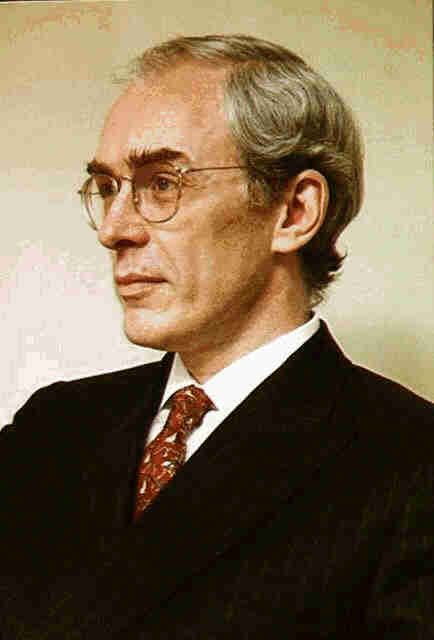 Lord Mayor of the City of Westminster (1973-74), later Leader of Westminster City Council (1976-83). Married, ?. ?.1949, Ann Rosemary Trevor (1925-1997). Charles Nevill Cobbold. Born and died 1951. Gillian Mary Cobbold. Born 1953. Married Martyn Gowing. Helen Elizabeth Gowing. Born 1980. Married 2009 Mark Dominic Graeme Haigh. Colonel Richard Nevill Cobbold. Born 1955. Married Yvonne Elizabeth Hart. Dr Katharine Elizabeth Cobbold. Born 1978. Married 2007 Christopher Paul Backhouse (born 1976). Nicholas ("Nick") Richard Cobbold. Born 1979. Married 2007 Clare Collins. Claire Alexandra Cobbold. Born 1985. Married Daniel ("Dan") Fung. Christopher Geoffrey Cobbold. Born 1959. Married 1986 Jeanne Margaret Mackay Inch (born 1953). Sarah Mackay Cobbold. Born 1987. Alistair ("Al") John Cobbold. Born 1991. 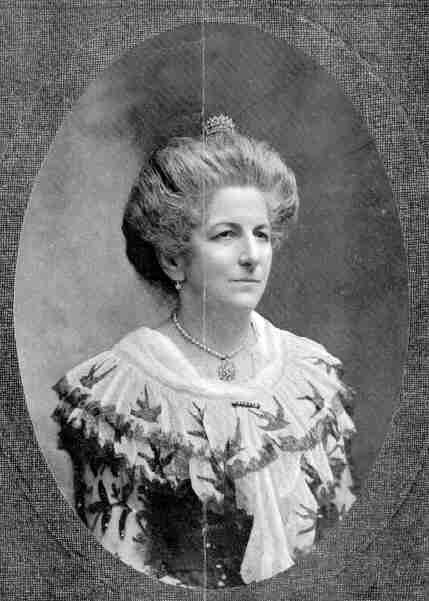 Margaret Helen Nevill Cobbold. Born 1 August 1922. Married, ?. ?.1946, Denis Morgan. Marriage dissolved. Nigel Morgan. Born 1947. Married Louise _____. Diana Margaret Morgan. Born 1949. Pamela Joan Morgan. Born 1954. Peter David Morgan. Born 1955. Married Judy Kravis. (Barbara) Joan Nevill Cobbold. Born 21 December 1924. Married, ?. ?.1948, John Dennis Biggers. Marriage dissolved. Michael Biggers Born and died 1950, a twin. Margaret Biggers Born and died 1950, a twin. David John Biggers Born 9 September 1951. Married Kathleen O'Connell. Jennifer Ann Biggers Born 23 April 1959. Married Peter Wasserman. They live in New Hampshire, USA. Geoff married second, 1958, Mrs Hilda F. Scott who survived him. (William) Reierson Arbuthnot, Junior. Born India 15 December 1866. Died 23 June 1938. Educated Eton. Worked with Arbuthnot & Co. Senior Partner, Arbuthnot Latham & Co, partner, 1903-38; Chairman, Standard Bank of South Africa Ltd and Estates & Agency Co Ltd; Director, Consolidated Sisal Estates of East Africa Ltd. Director The Great Southern of Spain Railway Co Ltd 1901. Lived at Old House, Plaw Hatch, Sussex. Married, 15 December 1907, Mabel Slade (born 7 May 1866; died 6 March 1947), only daughter of Francis Henry Slade of New York. Helen Marion Arbuthnot, MBE. Born 27 September 1910. Died 2 January 1981. Worked in British Information Services in New York during WW II and later at the BBC. (Caroline) Elizabeth ("Betty") Mabel Arbuthnot, JP. Born 10 August 1912. Died 6 December 1989. Married, 23 March 1944, Ralph Ernest Watkins Grubb, DL, FRICS (born 12 April 1911; died 14 March 1996), Barrister-at-Law and Land Agent, son of Rev Ernest Watkins Grubb. He was HM Deputy Lieutenant East Sussex and High Sherriff of Sussex, 1972/3. They are buried West Hoathly churchyard, W Sussex. Patricia ("Trish") Caroline Watkins Grubb. Born 15 May 1947. Married, 21 December 1974, Nigel Hugh Olliff (born 24 November 1950), an audio and lighting consultant. Address: Kites, Cradle Lane, Frith End, Bordon, Hants GU35 0QT (01420 474 263). Dominic Anthony Olliff. Born 7 August 1978. He is a Venue Operations Manager at the Olympic Stadium. Married 26 March 2010 Rebecca Elizabeth Kay (born 12 July 1980). Kimberley Joanna Olliff. Born 24 April 1981. Graduated as a French teacher. Married in London 13 July 2013 James Cooper (born 13 April 1977). Francesca ("Frankie") Elizabeth Olliff. Born 8 August 1992. Anthony ("Tony") Arbuthnot Watkins Grubb, MBA, ARICS. Born 6 May 1950. Christened Anthony Reierson Watkins Grubb, the name being changed by Deed Poll in his infancy. Educated Wellington and RAC, Cirencester. Chartered Surveyor and Land Agent. Liveryman Worshipful Co of Ironmongers. His address: Mayes House, near East Grinstead, Sussex RH19 4HP Married 19 October 1985 Jennifer ("Jenny") Frances Wilson (born 23 June 1956), dau of Cmdr Geoffrey Wilson of Aberdeenshire. Divorced June 2009. Her address: Damerel, Lane End, North Chailey, East Sussex BN8 4JH. Ruaraidh Alexander Watkins Grubb. Born 5 August 1986. Educated Eton and Leeds University. Arabella Louise Elizabeth Grubb. Born 28 June 1988. Educated Benenden and Trinity College Dublin (European studies). Georgina Joanna Caroline Grubb. Born 13 June 1991. Educated Benenden, University of Bristol and briefly Colombia University at Bogota. Lucy Hermione Penelope Jean Grubb. Born 23 December 1995. Educated Benenden. Joanna ("Jo") Pauline Watkins Grubb. Born 2 May 1952. Killed in a car crash 15 April 1973. She worked for the Foreign Office. There is a memorial to her in West Hoathly Churchyard. Olivia ("Libby") Helen Watkins Grubb. Born 1 December 1955. Educated Benenden. An interior decorator. Married, 21 March 1987, Richard Hubbard (born ?.?.19??). Address: Little Surries Farm, Ashurst Wood, West Sussex RH19 also: 35 Lyford Road, London SW18 3LU. Joanna ("JoJo") Hubbard. Born 26 January 1988. Educated Marlborough (head girl) and Oxford University. Married 18 May 2014 Duncan Chiah. Robert ("Bertie") Alistair Hubbard. Born March 1990. Educated Marlborough and Durham University. Harold Denison Arbuthnot of Merristwood, Worplesdon & of Field Place, Compton, Surrey. Born India 15 September 1868. Died 5 January 1944. Educated Eton. A Partner in W.I. Carr & Sons, stockbrokers. Married, 28 April 1898, Anne ("Annie") Grace Lambert (born Upper Tooting, Surrey c.1876, died 10 May 1956), daughter of Charles Edward Lambert of The Manor House, Effingham, Surrey (of Lambert & Butler Ltd). Clive Denison Arbuthnot. Born 1 August 1900. Dvu Barbados 15 February 1965. Served in both World Wars, Captain RN. Portrait of him as a boy, owned by DCDA, is on loan to JNA. Married, 15 April 1935, Pansy Alexander, née Davis (born 22 December 1903, died 16 February 1983), daughter of Charles Grey Howick Davis, Auditor General of Jamaica. Vanla Joy Arbuthnot. Born 6 December 1936. Married, 3 February 1959, Peter John Reginald Oxley (born 2 March 1934), only son of Lt-Colonel Richard George Reginald Oxley of Queen Camel, Somerset. Address: Queen Camel House, Yeovil, Somerset BA22 7NF (tel 01935 850 269). Stephen David Richard Oxley. Born 23 November 1959. Married 19?? Jennifer ("Jenny") Campbell. Divorced. They used to run The Keepers Arms, Trotton, Petersfield, Hants GU31 5ER. She remarried. Georgina ("Georgie") Rachel Oxley. Born 6 February 1994. Roberta ("Bobbie") Elsie Oxley. Born 7 September 1995. Campbell Stewart Reginald Oxley. Born 15 April 1998. Timothy Peter Charles Oxley. Born 13 May 1962. Professor of Natural Sciences at Imperial College. Rachel Mary Oxley. Born 23 December 1966. Married 19?? Christopher Stephen Reed. Stephen William Peel Reed. Born 10 November 1996. Richard David Peter Reed. Born 22 April 1999. Thomas Simon Michael Reed. Born 19 February 2002. David Charles Denison Arbuthnot. Born 20 June 1938. Educated Shrewsbury. Late of the Welsh Guards. He lives in Florida, USA. Married first, 1 December 1959, Rosemary ("Rosal") Eva Richmond (born ?.?.19?? ), daughter of George Richmond. Divorced 1963. Her address: 4 Royal Circus, Edinburgh 3. Angus Forrest. Born 14 July 1988. Archie Forrest. Born 6 March 1990. Alexander Forrest. Born 22 September 1992. David married, third, 3 December 1983, Virginia ("Ginny") Catherine Lathbury, elder daughter of General Sir Gerald William Lathbury, GCB, DSO, MBE (by Jean Thin) of Edlins House, Aston Upthorpe, Oxfordshire. Divorced. She lives in Gloucestershire. Victoria ("Tor") Annabel Joy Arbuthnot. Born 14 August 1984. Engaged 12 January 2009 to Jonathan ("Johnno") J. Spence, son of Christopher Spence of Chieveley, Berks. David Denison Arbuthnot. Born 14 October 1906. Died 4 March 1915. Thelma Grace Arbuthnot. Born 3 October 1911. Died 23 June 1974. Christian Scientist. Married first, 8 October 1932, Somerset Struben de Chair, ygr son of Admiral Sir Dudley Rawson Stratford de Chair, KCB, KCMG, MVO. Divorced 1950. He remarried more than once. Rodney Somerset de Chair. Born 1 July 1935. Christian Scientist. Educated Wellesley House, Broadstairs. Lt-Commander. Married first Sarah Trubshawe (1935-1995). Married second, 10 July 2000, Camilla Joy Victoria Burdett-Blackett, nee Bissell Thomas. Peter Dudley Somerset de Chair. Born 15 June 1939. Shot himself 1962. Buried at Blickling. Christian Scientist (?). Thelma married second, 20 October 1960, Sir Jocelyn Morton Lucas, 4th Bt, KBE, MC, MP (born 27 August 1889, died 1980) as his second wife. He bred Sealyhams. Katharine ("Clarnie") Isobel Arbuthnot. Born Madras 23 October 1869. Died 8 June 1942. Married, 9 July 1902, Hugh Mackay Matheson of Little Scatwell (born 14 January 1868; died 7 September 1954). Both buried Kinlochluichart, Ross & Cromarty. Alexander ("Alick") Francis Matheson. Born 6 February 1905. Died 1976. Captain, RN. Lord Lieutenant of Ross & Cromarty. Married, 12 July 1937, (Frances) Mary Heywood-Lonsdale (born 3 May 1908), daughter of Colonel John Pemberton Heywood-Lonsdale, DSO, OBE. (Helen) Iona Matheson. Born 23 November 1939. Married, 6 June 1962, Mark Dearman Birchall. Clare Birchall. Born 7 October 1965. Married Jolyon Mitchell. Jasmin Mitchell. Born January 2002. Xanthe Mitchell. Born 28 September 2004. Katherine Birchall. Born 1967. Married Matthew Frost (born 1964). Joshua Frost. Born December 1998. Natalie Frost. Born 30 June 2000, a twin. Laura Frost. Born 30 June 2000, a twin. John Birchall. Born 1970. Married Sarah Cross (born 1962). Edward Birchall. Born 17 May 2002. Andrew Malcolm Hugh Matheson. Born 30 July 1942. Educated Gordonstoun. Married Judith Helen Mackay Baldry (born 23 June 1947), an Australian. Address: Brahan, Conon Bridge, Rossshire. Alexander Matheson. Born 3 July 1974. Married Nadine Pape. Hamish Nicholas Matheson. Born 4 November 1976. Philip Hugh Matheson. Born 3 June 1979. Janet Margaret Matheson. Born 12 July 1944. Married Christopher ("Kit") Bowen. They live in Scotland. Also: Flat 3, 20 Summer Place, London SW7. Nicola Frances Bowen. Born 1976. Married David Marson. Robert Bowen. Born 1978. Married Alice Caldecot. Patrick ("Pat") Hugh Matheson. Born 13 April 1906. Died c.30 December 1982. Cmdr, RN. Married, 15 April 1942, Jean Cecely Mary Grant (born 2 May 1909; daughter of John Peter Grant, 13th of Rothiemurchus; sister of Gregor James Grant, MC - Table K, Page 14, 1.D.DD.a.III.) and widow of his younger brother. Catriona Juliet Matheson. Born 8 September 1943. Married, 10 July 1970, Michael John Cook (who had four other children by his first marriage), son of Hugh John Cook. Address: 7 Canterbury Crescent, Canberra, ACT 2600, Australia. Margaret Helen Matheson. Born 30 June 1946. Married, 7 August 1970, Sir David Hare (born St Leonard's, Sussex 5 June 1947), playwright (Amy's View, The Blue Room, etc and director, only son of C.T.R. Hare. Divorced 1980. He married second 1992 Nicole Farhi. Address: 10 The Chase, London SW4. Darcy Hare. Born 1978, a twin. Lewis Hare. Born 1978, a twin. Hugh Patrick Matheson. Born 16 April 1949. Educated Eton, Keble College, Oxford and Pennsylvania University, USA. Married Ranji ______. Gregor Grant Matheson. Born 1988. Ian Keith Matheson. Born 17 April 1909. Killed in action 23 May 1940. Educated Eton and Christ Church, Oxford. Captain, Scots Guards. Married, 2 July 1935, Jean Cecely Mary Grant (see above under I.2). Elizabeth Katharine Mary Matheson. Born 23 September 1936. Married, 10 May 1963, Robert ("Robin") Graham Langton Brackenbury (born 2 March 1929), son of Lt-Colonel Robert Henry Langton Brackenbury, OBE. Address: Holme Pierrepont Hall, Nottingham. Robert Patrick Langton Brackenbury. Born 31 March 1964. Married Charlotte Lewis (born 4 August 1967) of Gray's Inn, London. Oliver Brackenbury. Born 1 May 2001. Cicely Brackebury. Born 2 September 2003. Mary Brackenbury. Born 3 May 1967. Married Edward Stansfield (born 21 February 1966). Katherine Elizabeth Stansfield. Born 2 April 1997. Harold John Maryons Stansfield. Born 13 September 1998. Sarah Jean Matheson. Born 28 September 1937. Died unmarried 17 September 1999. Address: 114 Gloucester Terrace, London W2. Cicely ("Cice") May Arbuthnot. Born Brighton, Sussex 29 March 1872. Dsp ?.?.19??. Married, 15 December 1907, Lt-Colonel Hugh Neufville Taylor, DSO of 5th Burmah Regiment (born Blackheath 20 December 1859), brother of Arthur William Neufville Taylor and son of John Henry Taylor and Mary Sarah du Faur. JHT was son of George Ledwell Taylor (and Sibella Margaret Neufville), son of James Taylor and Christiana Dickson (connection with k_1, search Neufville). Kenneth Wyndham Arbuthnot. Born 11 Chichester Terrace, Brighton 23 July 1873. Joined the Seaforth Highlanders 1893. Relief force in Chitral Campaign, Nile Expedition 1898. Battle of Khartoum, South African War 1900-02 (despatches 1902), Brevet Major 1902, Adjutant to 4th Vol Batt'n 1907-08, Brigade Major Gordon Infantry Brigade (Scottish Command) 1911-14. Killed in action in the 2nd Battle of Ypres (2nd Batt'n) 25 April 1915. Married in Duns, Berwickshire, 26 April 1911, Janet Elspeth Sinclair-Wemyss (born Dublin 4 December 1889; died Sandwich, Kent 29 January 1982), eldest daughter of Major Robert Dunbar Sinclair-Wemyss, lessee of Wedderburn Castle, Duns, Berwickshire. 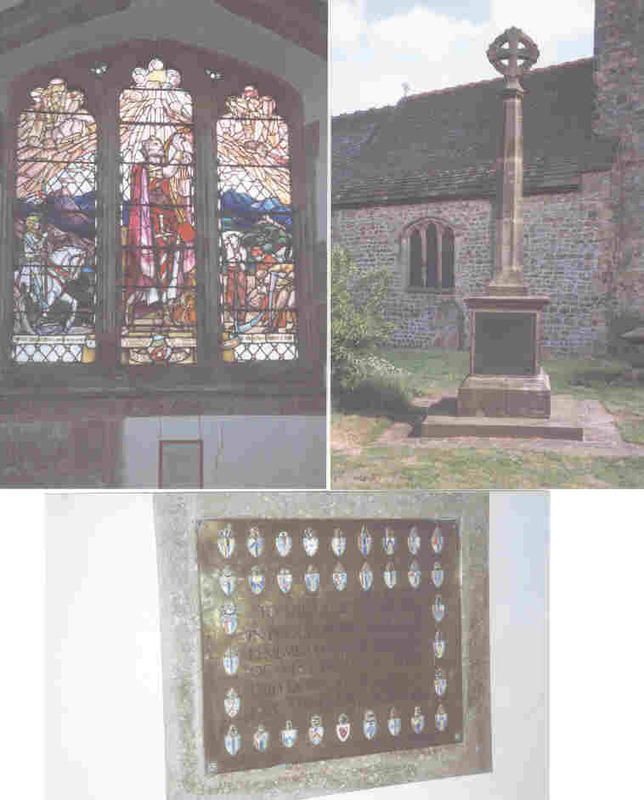 Both are commemorated in West Hoathly churchyard where there is a magnificent window by Douglas Strachan erected in his memory. Sir John Sinclair-Wemyss Arbuthnot, 1st Bt of Kittybrewster (created 26 February 1964), MBE (Mil 1944), TD, MA. [wikilink] Born Powis House, Kittybrewster, Old Aberdeen 11 February 1912. Died (while visiting) Worlington, Suffolk 13 June 1992. Buried West Hoathly churchyard, W Sussex. Educated Eton and Trinity College, Cambridge (MA - Natural Sciences). 1939-45 War Major Royal Artillery (TA Reserve 1948-62). Matriculated his arms 1964. MP for Dover (Conservative) 1950-64. Director: Ecclesiastical Insurance Office plc, Chairman Folkestone & District Water Company & other public companies. Joint Honorary Secretary of Association of British Chambers of Commerce 1953-59, Parliamentary Private Secretary to Minister of Pensions 1952-55, and to Minister of Health 1956-57, Member of Public Accounts Committee 1955-64, Second Church Estates Commissioner 1962-64, a Church Commissioner for England 1965-78, Member of House of Laity in Church Assembly, General Synod of Church of England 1955-77. Lived at Jenkin's Well, Upper Deal and moved in 1964 to Poulton Manor, Ash, near Canterbury. Married at Holy Trinity, Brompton, 3 July 1943, (Margaret) Jean Duff (born Sevenoaks, Kent 29 September 1919), younger daughter of (Alexander) Gordon Duff and Janet Macfie Duff, née Blaikie. Address: 7 Fairholt Street, London SW7 1EG. Elizabeth Mary Arbuthnot. Born Eythorne Court, near Dover, Kent 27 May 1947. Bap Eythorne church. Educated St Mary's School, Calne (scholarship) & University of Kent at Canterbury - BA (Hons). 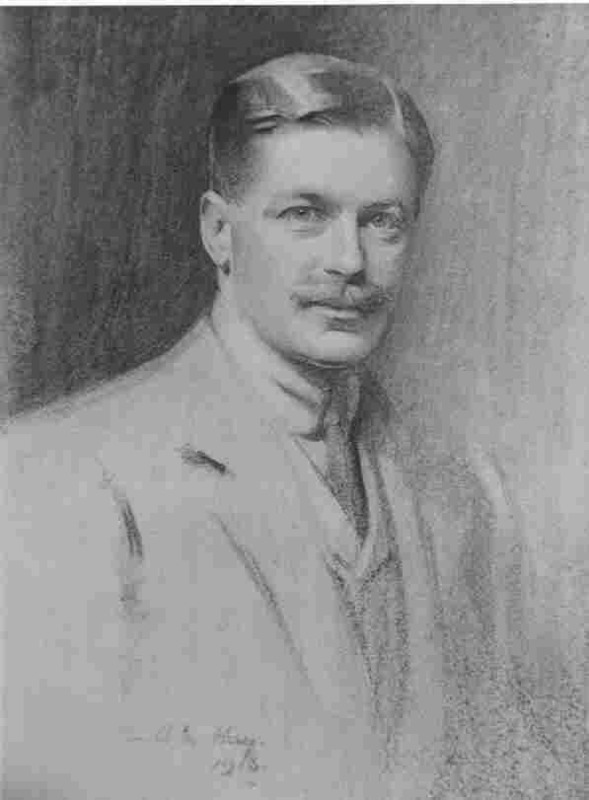 Sir William Reierson Arbuthnot, Bt. Born Jenkin's Well, Upper Deal, Kent 2 September 1950. Bap House of Commons. Educated Eton & College of Law. With Scottish American Investment Co (1969-70), Arbuthnot Latham Holdings Ltd, Merchant Bankers (1970-75), Joynson-Hicks & Co, Solicitors (1978-81). Dep chmn, High Premium Gp 1994-2009, dir ALM Ltd 1997-2005 etc. Hon Genealogist & webmaster Arbuthnott Family Assoc & Kittybrewster.com. Worshipful Company of Grocers (Freedom 1972, Livery 1981). He has Parkinson's disease. Address: 37 Cathcart Road, London SW10 9JG (Tel: 020 7795 0707 fax: 020 7823 3344 Mobile: 079 464 333 84). (Thomasina) Lucy Arbuthnot. Born 31 December 1998. Educated Ardvreck School (head girl). Academic scholarship to Fettes College. Member National Youth Choir of Scotland. Married in Chelsea 26 August 2010 Louise Alexandra Mary Barry, elder daughter of (Edward) Bruce Barry. Henry ("Harry") William Arbuthnot. Born 21 March 2011, a twin. John ("Jack") Walter Arbuthnot. Born 21 March 2011, a twin. Rt Hon James Norwich Arbuthnot, MP. [wikilink] Born Jenkin's Well, Upper Deal 4 August 1952. Bap House of Commons. Educated Eton (scholarship; Captain of School) and Trinity College, Cambridge (MA - Law). Barrister-at-Law practising in Chancery. Member of Parliament Wanstead & Woodford, 1987-97; North East Hampshire 1997-. Chairman of Defence Select Committee 2005-. Opposition Chief Whip 1997-2001; Minister of State Defence Procurement 1995-97; Parliament Under Secretary of State for Social Security 1994-95; Assistant Government Whip 1992-94; Parliamentary Private Secretary to Rt Hon Peter Lilley, Secretary of State for Trade and Industry 1990-92; PPS to Archie Hamilton, Minister of State for Armed Forces 1988-90; Councillor, Royal Borough of Kensington and Chelsea 1978-87 (Deputy Mayor 1983/4); Parliamentary Candidate for Cynon Valley 1983 and 1984 (by-election); Vice-Chairman of Chelsea Conservative Association 1980-82 - Worshipful Company of Goldsmiths (Freedom 1974). Married at St James's Piccadilly, 6 September 1984, Emma Louise Broadbent (born 9 January 1959), only daughter of (John) Michael Broadbent. Emma is Deputy Senior District Judge (Magistrates' Courts), a barrister-at-law, District Judge and Crown Court Recorder. Katherine Rose Joste Arbuthnot. Born 14 July 1989. Educated The Lycée, then Highfield, then Wycombe Abbey MEng at Bristol University (first class). 2nd Lt, Territorial army. Working for BP. Eleanor ("Leafie") Sophie Duff Arbuthnot. Born 11 August 1992. Educated The Lycée, Highfield, Wycombe Abbey, then Magdalene, Cambridge University (Modern Medieval Languages). Alice Tempest Wemyss Arbuthnot. Born 31 May 1998. Educated The Lycée, then Highfield,then Wycombe Abbey. Louise Victoria Arbuthnot. Born Jenkin's Well, Upper Deal 26 October 1954. Bap House of Commons. Educated St Mary's School, Calne & Exeter University (LLB). Solicitor with Messrs Bircham & Co, retired. Married at Holy Trinity, Brompton, Kensington, 16 June 1984, David Bernard Lancaster (born Munster, Germany 12 September 1954), retired solicitor, son of the late Major Bernard Thomas Lancaster. Address: Shalden Park Farm, Shalden, Alton, Hants GU34 4DS. Rachel Alice Lancaster. Born St Thomas's London 18 March 1985. Educated Downe House School; Oxford Brookes (History of Art). Schoolteacher. Married 26 September 2009 Alexis Jonathan Perry (born 2 August 1982), son of Andrew Perry and Anne, nee Schluter. Address: The Coach House, Noble Tree Road, Tonbridge Kent TN11 8RD. Rebecca Saskia Lancaster. Born St Thomas's 12 June 1987. Educated Downe House School (music scholarship); Univ Coll., London (Medicine). A doctor of medicine. Tamara Louise Lancaster. Born Basingstoke 16 November 1988. Educated Downe House School (music scholarship), Oxford Brookes and Bristol University (History of Art). An interior decorator. Alison Jane Arbuthnot. Born Jenkin's Well, Upper Deal 9 April 1957. Bap House of Commons. Educated Benenden & New Hall, Cambridge (MA - Law). Solicitor (retired). Robert Michael Wemyss Arbuthnot. Born Old Aberdeen 9 March 1914. Killed unmarried in an accident on the Watford bypass 29 August 1946. Educated Eton & Trinity College, Cambridge. He owned and ran a garage in Lancaster Gate Mews, W. Racing motorist. He set a record at Brooklands. He owned and raced an Alfa Romeo 8C which has been restored and is now in America. Andrew Carmichael Arbuthnot of Sinah Warren, Hayling Island, Hampshire and of Woodlands, Chiddingfold, Surrey. Born Plawhatch, East Grinstead 6 August 1877. Died Burton Court, Chelsea 1 July 1953. Educated Charterhouse. Served with Seaforth Highlanders in Boer War (South African medal with four clasps); drove an ambulance in WWI (Mons Medal) Captain. Married, 19 June 1911, his brother's sister-in-law, Jessie Evelyn Lambert (born 1884, died 2 January 1951), daughter of Charles Edward Lambert of The Manor House, Effingham, Surrey, see above. (Evelyn Helen) Anne Arbuthnot. Born 23 June 1912. Died 25 August 1986. Married, 19 December 1942, Brigadier Henry ("Harry") Beveridge Latham (died 26 June 1977 aged eighty-four), younger son of Thomas Ringrose Latham of Toorak, Melbourne, Victoria, Australia. They lived at 6 Marryat Road, London SW19. (Diana) Evelyn ("Eve") Latham, MD. Born 18 February 1944. Anaesthetist specialising in legal defence. She has a leather bound copy of "Memories". Married, 22 May 1971, Roger Geoffrey Miller (born 5 August 1942). He is a management consultant (ret'd). Address: Sopworth Manor, Sopworth, Chippenham, Wilts SN14 6PS (01454 238 231 also Upper Cheyne Row, London 020-7352 6380). Richard James Andrew Miller. Born 10 August 1974. Educated Radley College, and Oxford University. Currently living in London and working for Evolution. Rachel Jane Miller. Born 28 May 1977. Educated Downe House School and Edinburgh University. Works for egg.com in the Commercial Dept doing negotiation. Currently living in London. Patrick Latham. Born 1 May 1945. Accountant with Imperial Cancer Research Fund. Married, August 1971, Patricia ("Shah") Frances Tippett (born 1947). Address: Littledene, 2 Guildown Avenue, Guildford. Robert Patrick Latham. Born 5 July 1974. Katherine Latham. Born 28 July 1976. Christopher Leek. Born 25 January 1975. Educated Harrow School and Bristol University Bsc Econs (Hons). Currently working for KPMG, living in Frankfurt am Main, Germany. Emma Leek. Born 18 February 1977. Married 27 September 2003 Richard Lloyd-Williams. Julia Leek. Born 17 September 1979. Peter Ringrose Latham. Born 6 May 1949. Address: The Mount, Goose Green, Deddington, Banbury OX15. (Ursula) Bridget Arbuthnot. Born Dorking 10 May 1914 (reg'd q2 1915 2a/329). Dsp 21 September 1983. Married Q2 1943 Norman Jenkins. Divorced. Malcolm Alexander Arbuthnot, OBE. Born Plawhatch or London 23 September 1878. Dsp January 1956 (1958†). Educated Trinity College, Cambridge. Worked with Arbuthnot & Co. Served in World War I as Major, Seaforth Highlanders; OBE 1919 (seriously wounded at Ypres). Partner in Fielding Son & Macleod, stockbrokers. Married in Bengal, 8 January 1906, Florence ("Flo") Jessie Boileau (born c.1884, died 30 December 1973), daughter of General George Saunders Theophilus Boileau of Goulburn, New South Wales. Dorothy Grace Arbuthnot. Born Plawhatch 27 June 1884. Died q2 1959. Married q4 1938 as his second wife Rev Robert John Bailey Lewis (born 2 November 1878; died 30 October 1941), Vicar of West Hoathly, Sussex who had had two daughters by his first wife Blanche Frances Hall,. She adopted the name Arbuthnot-Lewis on marrying, Lewis-Arbuthnot on her husband's death and Arbuthnot shortly afterwards. + Blanche Francis Hall (1879 - 1933) b: 04 Oct 1879 in Chepstow, Monmouthshire, Wales, m: 06 Jan 1914 in Newport, Wales, d: Jan 1933 in Sussex, England. ........... 2 Sheila Francis Roach Lewis (1916 - 1978) b: 17 Oct 1916 in Llandogo, Chepstow, England, d: 27 Dec 1978 in Isfield, Sussex, England . ....................... 4 Elizabeth Anne Wilson (1974 - ) b: 29 May 1974 in Circleville, Pickaway, Ohio, USA . ....................... 4 Maria Wilson (2002 - ) b: Guatemala Oct 2002 Adopted in. ................. 3 Elizabeth Ann Wilson (1948 - 1948) b: Jan 1948 in Muncie, Delaware, Indiana, USA, d: Jan 1948 in Muncie, Delaware, Indiana, USA. Sheila Frances Roach Lewis. Born 1916. Died 1978. Married T Franklin Evans. Barbara Elizabeth Roach Lewis. Born 1919. Married Richard Eugene Wilson.